An urgent appeal was made to the President of UN Human Rights Council H.E. Ambassador Vojislav Šuc, to take steps to ensure the safety of six Tamil Mothers of the disappeared when they return to Sri Lanka after giving statements at the current UN Human Rights Council session. These mothers were threatened and abused by Sri Lankan Security force officers and military intelligence at the UN Human Rights Council (UNHRC). Names of the six mothers are attached in the bottom. These Mothers are appealing UNHRC for help to find their children who disappeared in Sri Lanka and other thousands of Tamils who disappeared over the years. Several of the disappeared were surrendered by their families to the Sri Lankan security forces nine years ago at the end of the war. There are credible reports that around 18 thousand Tamils have disappeared over the years. So far, not a single military officer has been brought to justice for these disappearances. This appeal was made by Transnational Government of Tamil Eelam’s (TGTE) United Nations Representative Mr.Suginthan Murugiah. 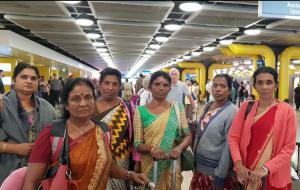 Six mothers of the disappeared are visiting the current UNHRC session in Geneva and are speaking at various Council forums appealing to member states to secure the release of their loved ones and around 18 thousand Tamils who disappeared or for information on the circumstances of their death. The families have collectively formed a group to search for their loved ones. During the presentations by the Mothers of the Disappeared at the UNHRC side events, several current and former Sri Lankan security force officers and Sri Lankan Military Intelligence officers rudely interrupted their presentations and abused them by loudly shouting and using harsh and threatening words. As a result of the threats, the Mothers are severely traumatized and frightened. One of the mothers fainted at the UNHRC and was admitted to a Geneva hospital. These Sri Lankan forces also continually followed these mothers at UNHRC building and threatened them. In a desperate move to find their loved ones, these mothers, along with thousands of other families, have been continuously holding hunger strikes, vigils and protests for the last one and a half years. They met the President of Sri Lanka, who promised to get the list of those surrendered to the Security forces nine years ago and who have not been heard from since. The President, however, did not fulfill his promise. The Mothers also met the Office of Missing Persons (OMP), but they too have not delivered on their promises. As a last resort these mothers have come to the UNHRC to Appeal for urgent action. Here they have been harassed and abused by the current and former Sri Lankan Security forces and Military Intelligence officers. “Imagine, if they face these abuses at the UNHRC what their plight will be when they return to Sri Lanka” said the TGTE. “The UNHRC, the premier human body of the UN, must ensure that victims who come to the Council are not harassed, abused or threatened while at the Council and their safety must be guaranteed when they return to their home countries”,” concludes the appeal. 1) SEBESTIAN DEVI of Trincomale, Sri Lanka. 2) MARIYASURES EASWARY of Mullitivu, Sri Lanka. 3) VALLIPURAM AMALANAYAKI of Batticalow, Sri Lanka. 4) YOGARAJAH KANAGARANGINI of Kilinochi, Sri Lanka. 5) ANANDA NADARAJAH LEELADEVI of Kilinochi, Sri Lanka. 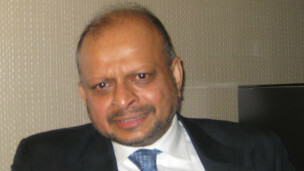 6) THAMBYRAJAH SELVARANI of Ampari, Sri Lanka.